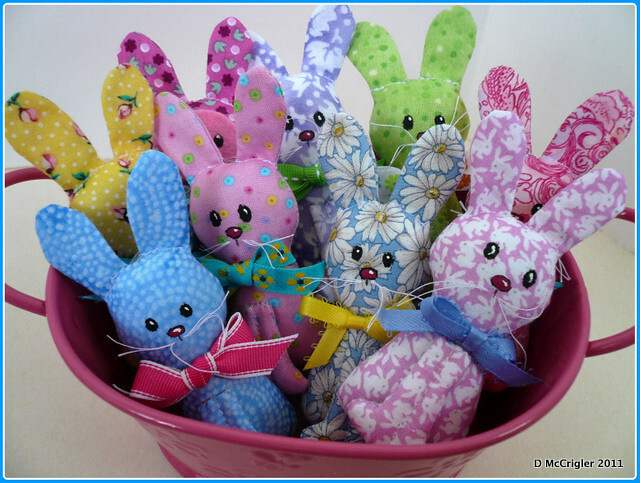 Group shot of my newest for spring-bunnies by the bunch. Talk about multiplying bunnies. They might even out number the dust bunnies. 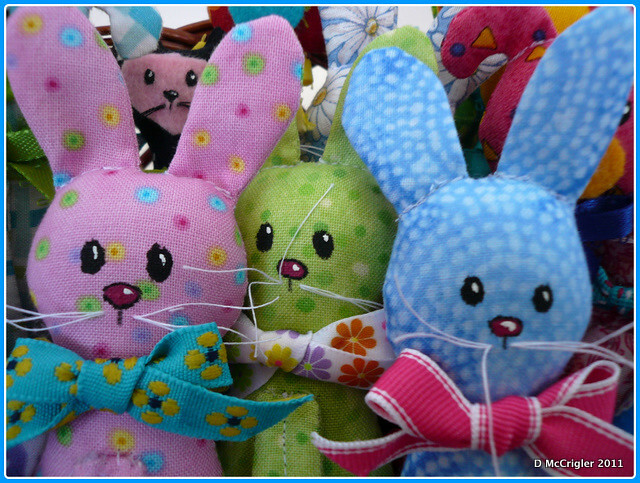 Close up of some bunnies. Notice the cute whiskers and perky bows. I couldn't resist some fun shots. I rummaged through my kids' old toys and found this cute playset. Oh, these are too sweet! 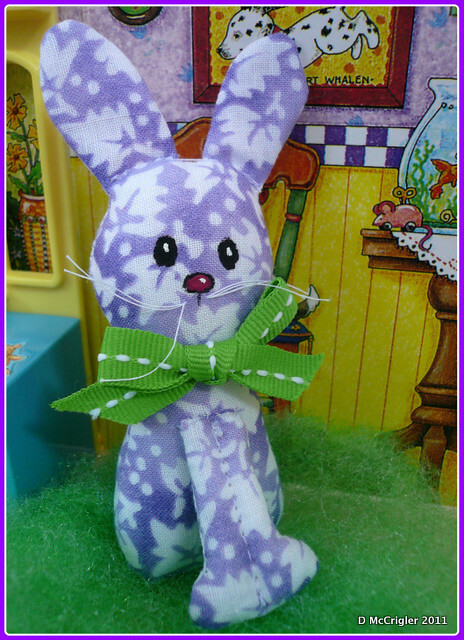 I really love the whiskers---adding real whiskers to an animal plush is always such a special touch.